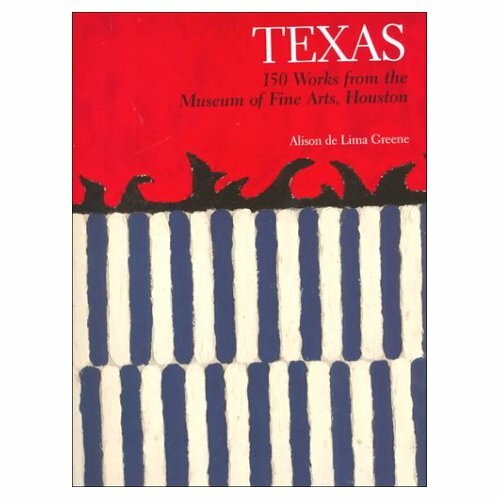 Texas: 150 Works from the Museum of Fine Arts, Houston, is not quite as huge as Texas Artists Today, but it is no pamphlet. It has 277 full color pages in an over-sized package. For five dollars, it was an unbelievable bargain--not because it's big (hardly a virtue in the world of books), but because the art and text inside are really good. Texas was published in 2000, so it is 10 years out of date. Furthermore, while Texas Artists Today featured only living artists, Texas included quite a few artists who were already dead when the catalog was published--including Forrest Bess and Joseph Glasco--and many who died in the subsequent decade--John Biggers, Jim Love, Dorothy Hood, Luis Jimenez, etc. Still, I'd say most of the artists in Texas are still alive and producing, and there is an overlap between the two books, including The Art Guys, David Aylsworth, Bill Davenport, Sharon Engelstein, Rachel Hecker, Paul Kittelson, Sharon Kopriva, Bert Long, Aaron Parazette, Salle Werner Vaughn and probably a few others that I'm missing. Other differences? 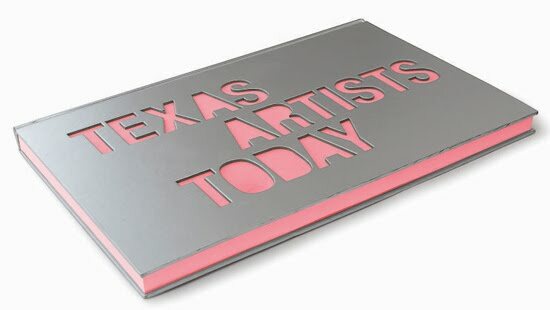 Texas Artists Today reproduces much more work by each of the artists, so you get a better idea of the range of work each produces. (And the photos are gorgeous and large.) Texas typically has just one or two photographs per artist. Score one for Texas Artists Today. On the other hand, Texas is a more professional book. There is a hint of vanity project with Texas Artists Today. It's one thing to list everyone who worked on a book (preferably in small type in the acknowledgments); it's another thing to take a photo of the editorial/design team and reproduce it huge on page 6. That's not the only weird vanity-ish move. At the beginning of each artist's section, there is a "collage" of photo images of the art and the artist. The photos were taken by Jenny Antill and the design of the collage was by Tatiana Massey. I know this because this credit is repeated under every single "collage" in the book, all 62 of them. I worked in publishing a long time. I wish I had been a consulting editor on this project. I would have told them that plastering the names (and photos!) of the people who worked on the book all over it is highly unprofessional, very bush-league behavior. One discreet listing is proper. But they didn't ask me. They are promising a second volume, so maybe they will tone down the patting-ourselves-on-the-back moves a bit. That said, it's a nice book full of great photos. If you have $150 burning a hole in your pocket right now, go pick it up. Otherwise, don't forget that you can get Texas over at The MFAH for $5--which may be what Texas Artists Today will go for in 10 years. Who knows?